Last year, Mercedes-Benz revealed the Vision Mercedes-Maybach 6 concept, the closest thing you could get to a luxury yacht for the road, and now the German carmaker is back with the convertible version. Meet the Vision Mercedes-Maybach 6 Cabriolet, a near 20-foot long all-electric coupe, complete with its “boat tail” and 24-inch wheels. If last year’s concept was a land yacht, the Cabriolet is a land speedboat. 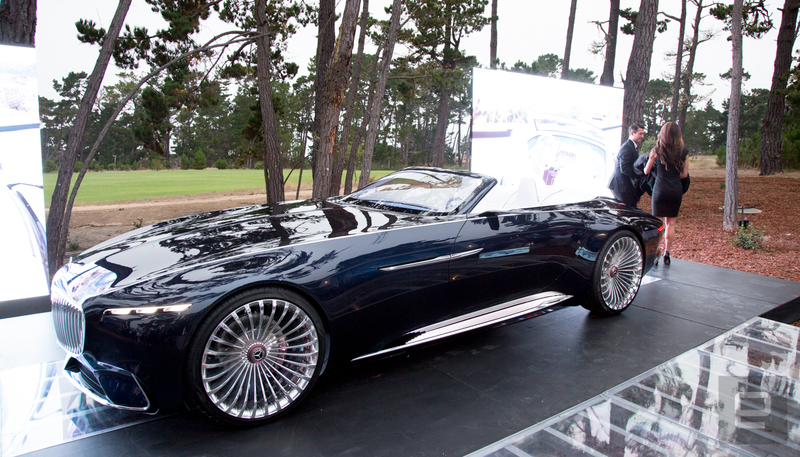 Mercedes revealed the latest Vision 6 at the Monterey Car Week event in California on Friday. It measures 18.7 feet long and 6.9 feet wide, and it still only has two seats. The car’s Art Deco-inspired design features a single arched line that runs the length of the entire body, a front grille that borrows lines from a pinstriped suit, and, of course, a hood that’s longer than modern compact hatchbacks — all finished in Nautical Blue Metallic paint. But underneath all the refined, luxurious looks the Mercedes-Maybach is packed with the latest electric vehicle tech. The all-wheel drive electric drivetrain uses four compact permanent magnet synchronous electric motors to produce the equivalent of 750 horsepower. With a top speed of 155mph, it can go from zero to 60mph in under four seconds, and a flat battery positioned under the vehicle’s floor gives it a range of 200 miles on a single charge. Mercedes also says its advanced fast charging system can provide up to 60 miles of range in just fives minutes. 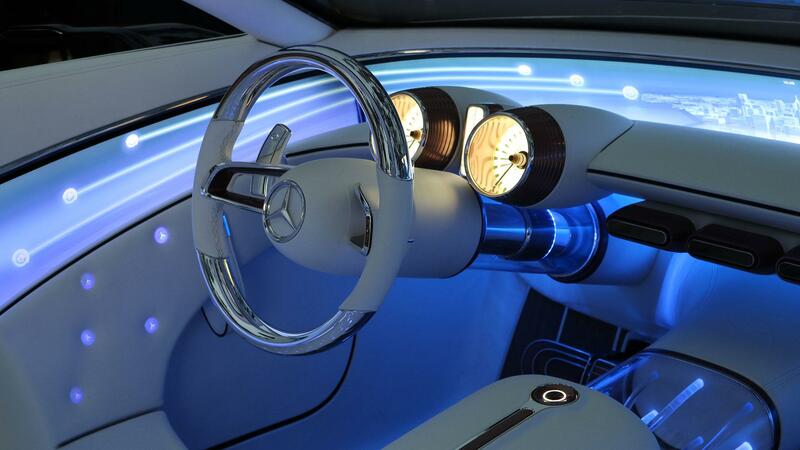 Drivers will find themselves behind an instrument cluster that features classic round gauges with working needles. The navigation system is linked to touchscreen displays, while an intelligent concierge system uses voice commands to provide information based on location and time of day.